Groups are required to pay a security deposit of $200 on arrival to be refunded at the point of checking-out in case of NO damages of any sort. 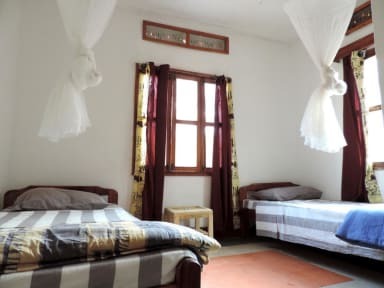 Ewaka accommodation offers convenient and affordable lodging located northeast of kampala city.The Budget Guest House in Ntinda is an ideal choice for backpackers, students or budget tourists. With our well equipped open plan kitchen, making new friends is easy and there is plenty of space to chill and chat with staff and guests in our cosy common room and bar area. 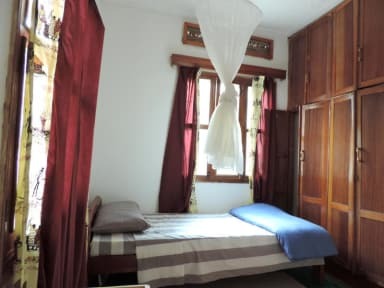 Our dorms which accommodate upto 4 people are light with clean bathrooms. Ewaka also offers Free Wi-Fi and our friendly receptionist can offer you some great advice on what to see and do and where to eat and drink during your stay in Kampala. The people of Kampala, and Ugandans in general, are very kind and friendly and are very approachable. Kampala, with a population of approximately 2.5 million, is by far the largest city in Uganda. It is not yet completely overwhelmed with traffic and sprawl like Nairobi and Lagos. Additionally, Kampala is very safe to walk around, even at night, a welcome fact for many a high-strung visitor arriving from Nairobi. It has a perfect location and offers basic and clean rooms with simple decorations at an affordable rate!